I am Rose and I have been a professional Pixel Artist since 2011. 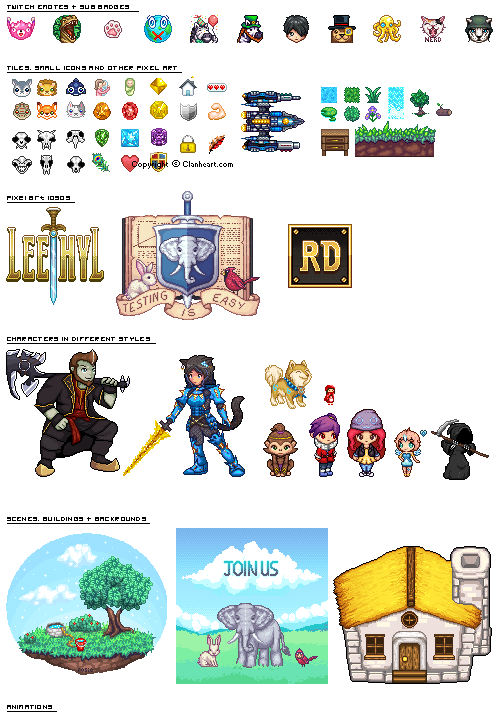 I have worked on anything from tiny 12x12 icons to larger individual files, as well as game art (sprites, UI, environment and animations). Rates range from $8 to $40+ for individual commissions and $11 per hour for larger projects. I am looking to be commissioned or hired, so please email me at r0se-designs@hotmail.com for more information. Updated and Available For Work! Rose is a great artist and a very easy person to work with. She is professional and always listened and made tweaks as necessary. Definitely recommended. Updated! And available for work.